At Core Optimal Health Solutions our goal is to treat the whole person. Dr. Alejandro treats the cause and gets to the root of the problem by restoring function to the system. 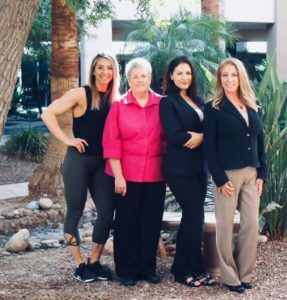 The COHS team believes in the body’s innate ability to heal itself from the inside out by providing wellness programs that utilize the five pillars to health — nutrition, detoxification, hormone balancing, fitness and nervous system health. Dr. Alejandro and her team empower and coach patients to take care of themselves the natural way. By doing this, our patients have longevity, quality of life and can fulfill their dreams. Dr. Alejandro also offers patients a myriad of services, including preventative care and concerns with belly fat, weight gain, stress, fatigue, diabetes, thyroid conditions, cardiovascular disease, hormone imbalances, erectile dysfunction, high blood pressure, sleep disturbances, digestive issues, desires to get off medications and many more. My team and I proactively help create individualized care with resources, support and tools patients need to succeed now and ongoing for the rest of their lives. If you have any questions about how we can help you take your health to it’s highest level, please contact us. We are ready to partner with you on your journey to abundant living! Compassionately teaching, coaching and assisting in our body’s innate ability to heal, and maximize health and vitality. People just like you who chose to change their lives… and they have never felt better!. Take your first step to a healthier tomorrow with the help of Dr. Angelina Alejandro by your side all the way!